T here are two main theories regarding the invention of the Reuben sandwich, both of which revolve around men named Reuben. (1) New York City, 1914: Arnold Reuben, the owner of Reuben’s Restaurant, slaps together some Virginia ham, roast turkey, Swiss cheese, coleslaw, and Russian dressing on rye and calls it a Reuben’s Special. (2) Omaha, Nebraska, 1922: A poker-playing grocer named Reuben Kulakofsky, who must have fashioned himself along the lines of a modern-day Earl of Sandwich, takes a break during a card game and fixes himself a similar sandwich but subs corned beef for the ham and turkey and sauerkraut for the coleslaw. The former, admittedly, isn’t what we now consider a classic Reuben, which is why most sandwich aficionados give the edge to Omaha. 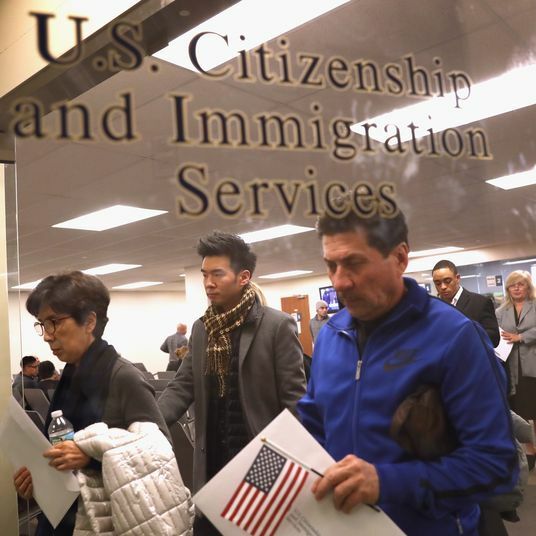 On the other hand, we’re New Yorkers, and we didn’t get where we are by letting some Nebraskans steal our thunder. (If only this poker player could have named his creation a Kulakofsky instead of a Reuben, we might not be in this mess today.) 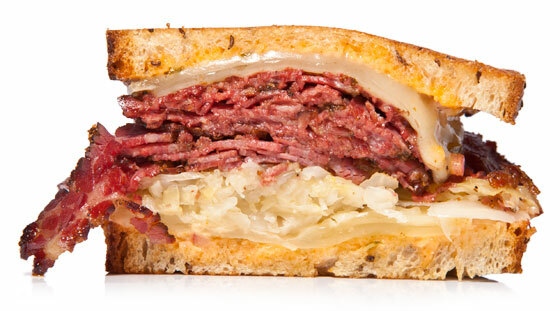 What’s not up for debate, though, is that the Reuben, whoever invented it, is a world-class sandwich. Salty, tangy, fatty, and a little sweet, it’s got everything you could ask for—especially when properly buttered, griddled, and served hot. What’s curious, in this golden age of sandwich-making, is that, unlike the bánh mì, the BLT, and the grilled cheese, to name only a few, the Reuben has gone uncelebrated and been impervious to gourmet upgrades. That is, until now. In the slideshow above, a few examples of the modern Reuben, with the requisite chefly liberties taken. 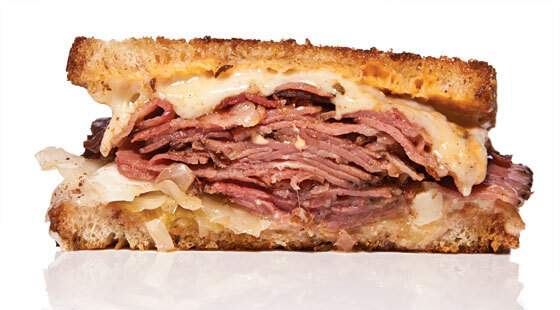 Whatever remains of the luscious deckle pastrami chef Mark Spangenthal cures and smokes for the dinner deli plate goes into the pastrami Reuben at lunch, a towering thing of fatty, melty, crisp-grilled beauty. It comes on a wooden trencherman’s plank with fries, fiendishly, and health salad (facetiously? ), and outsells the turkey version four to one. 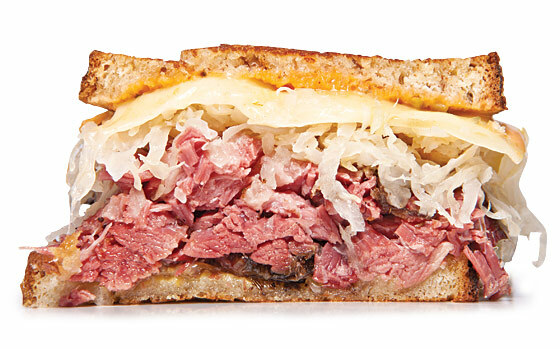 Responding to the perceived gap in the great-Reuben market, these gourmet grocers corn their own beef, steam it with Emmental, then sandwich-press the thing with sauerkraut and Russian dressing on Orwasher’s wine bread. And don’t leave without grabbing a few rugelach made by one of the owners’ dad. 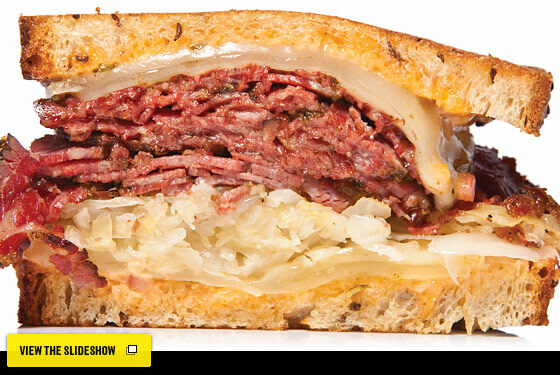 Chef Chris Bradley launched the pastrami program at Gramercy Tavern, and when he moved uptown to update the New York coffee shop in the Whitney’s basement, this extra-drippy sandwich was inevitable. The rye is Orwasher’s, the Russian”Thousand Island hybrid housemade, and the crunchy kraut aged in oak whiskey barrels. 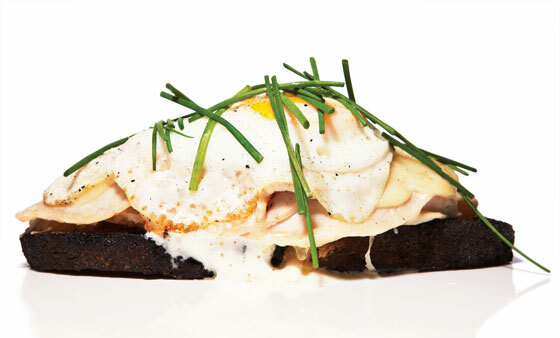 Native New Yorker Josh Eden somehow grew up thinking Reubens should be open-faced, which is how he makes his lunchmenu turkey version. 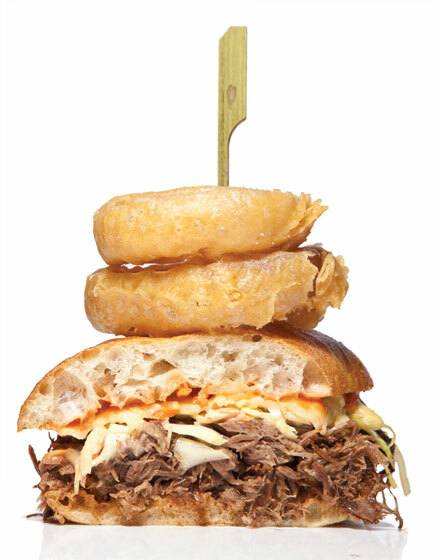 And if that’s not enough, he throws a fried egg on top and garnishes it with horseradish cream. 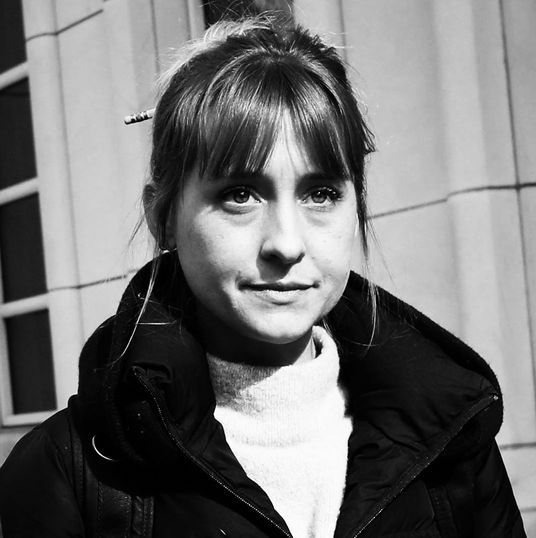 It triumphs regardless, proving that a true classic is always open to a little artistic interpretation. And, of course, fried eggs. 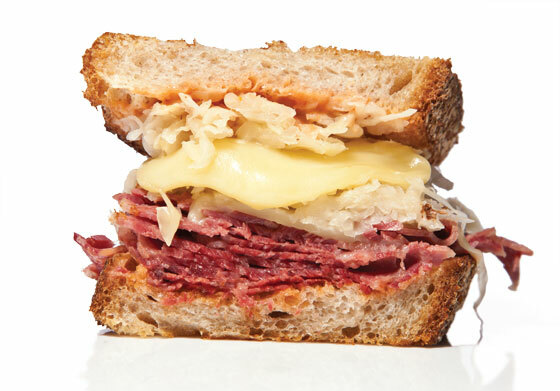 Zoë Feigenbaum’s lunchtime Reuben is the classic configuration and what might be the best version in town: corned beef, Russian dressing, and sauerkraut, all made in-house, plus Swiss, on rye. It’s amply buttered, pan-fried, then finished in the oven to a perfect golden brown. 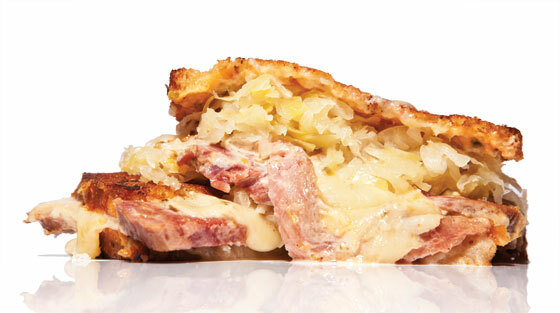 It’s everything you could ask for in a Reuben”decadence and balance in equal, harmonious measure. And the capery, parsley-strewn side salad is a nice touch. Belgian expat Mathieu Palombino loves the Reuben with the passion of someone who’s come to it late in life, and treats it with utmost respect”smoking the pastrami in-house and giving it a good home with Gruyère, sauerkraut, and swipes of Russian dressing and mustard on toasty rye. Added value: a crunchy and revivifying cabbage slaw and a good new pickle. Bargain hunters should bear in mind that the same sandwich costs $8.75 at lunch.